STCW Regulation III/6 – electro-technical officers. Based on the MNTB’s criteria for Human Element Leadership and Management (HELM) Operational and Management Levels First Edition Sept 2012, the candidates will learn how to control the operation of the ship and care for persons on board at the operational level. Apply the elements of task and workload management, including planning, co-ordination, allocation and prioritisation of human and physical resources when controlling the operation of the ship and care for persons on board. Apply effective resource management techniques. Apply the principles and practice of decision-making. Candidates will be assessed throughout the course as well as examined on the final day to ensure that they meet the competency required for the level of training received. 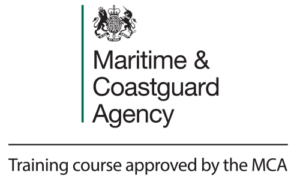 Learners following an MNTB/MCA approved programme are eligible to undertake this course after their first seagoing phase. Learners following the experienced seafarer route to MCA certification shall meet the minimum seagoing service requirements for the issue of a first CoC.